This blog post was originally published on the Cancer Research UK science blog. It is reposted here with minor edits. We know that alcohol is damaging to our health in a number of ways – including an impact on cancer risk. There’s concrete evidence that it causes cancer and that drinking less reduces your risk of developing the disease. There are seven types of cancer linked to alcohol – bowel, esophageal (food pipe), larynx (voice box), mouth, pharynx (upper throat), breast (in women), and liver. There’s also mounting evidence that heavy drinking might be linked to pancreatic cancer. But how, and why? Alcohol and Breast Cancer: What’s the Risk? Now let’s take a closer look at what’s going on when we have a drink or two. To visualize how alcohol overwhelms our cellular defenses, imagine you’re pouring alcohol – say red wine – into a glass through a funnel. Infographic credit Cancer Research UK. Want to learn more from Dana-Farber and CRUK? 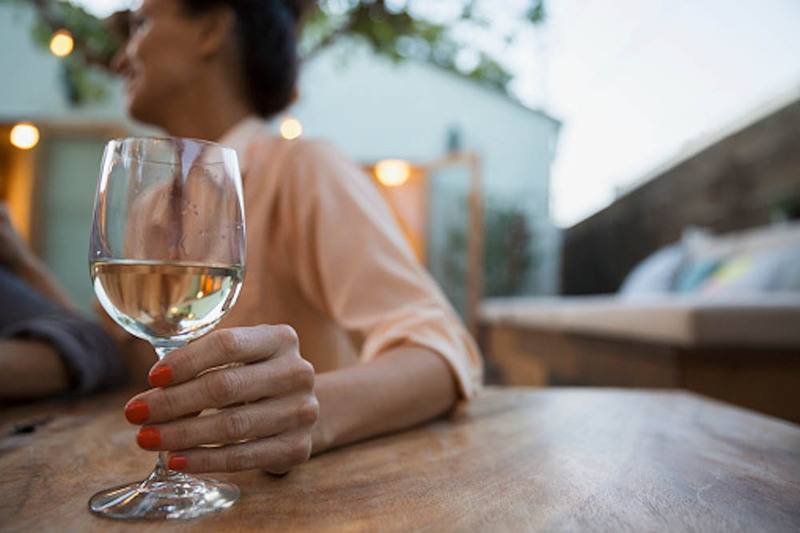 One theory is that drinking alcohol affects women’s hormone levels, increasing the amount of estrogen in the body, which is then used by breast cancer cells as fuel for growth. But it’s not necessarily straightforward to unravel. Lots of other things affect estrogen levels, including whether the woman is pre- or post-menopausal, the stage of her menstrual cycle and whether she’s taking hormonal contraceptives or hormone replacement therapy (HRT). But there are other ideas that haven’t yet been fully explored or resolved. These include changes in folate metabolism, increased production of reactive oxygen species and reactive nitrogen species and the role of bacteria in how alcohol is metabolized.